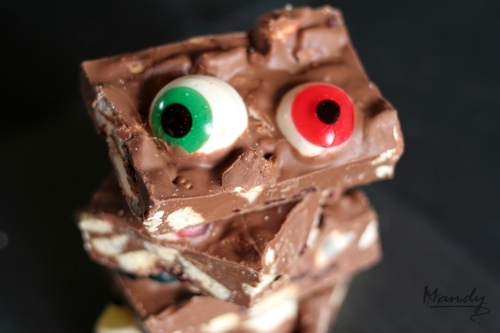 Halloween Rocky Road — What the Fruitcake?! Halloween's not really a big thing in SA, probably something to do with having to get past electric fence on top of 6 foot walls, foreboding spiked gate, the 2 rabid guard dogs, the 1 yapping Maltese Poodle, blinding flood lights and gun-wielding suspicious home owner peering through the curtains before being able to reach the front door to yell "Trick or Treat!" But now I'm in Ireland. And in Ireland, you do Halloween. M&S sport kids' costumes next to the new Christmas stuff. There are shelves dedicated to Halloween themed candy. Restaurants have pumpkins and spider webs hanging everywhere. So when in Rome? Well, make Halloween Rocky Road! I've seen plenty of cakes and cupcakes topped with spiders and ghosts, cookies in spooky shapes, all look brilliant. But I got a little overwhelmed this month with life, the Daring Baker macaron challenge, work, friends, etc so I wanted to do something easy. I found the perfect thing to make when, on a sugar craving binge late one evening, my hubby and I popped down to our local little market who always have fantastic goodies. They make Mars Bar Rice Krispie treats and various other things that will sort out that craving in just a few bites. One of these things was their rocky road bars. 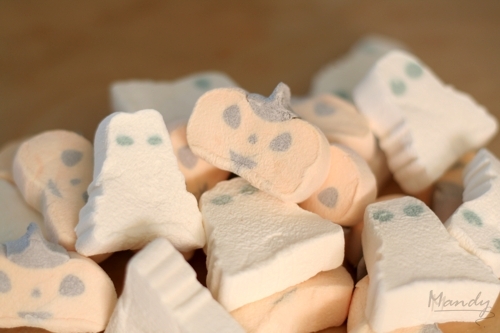 But this time they'd swapped out the normal pink and white marshmallows for marshmallow pumpkins and ghosts. So simple, so cute! Rocky road is great, you can throw almost anything into it. The usuals being some sort of cookie, marshmallow and nuts. I decided to jam pack my bars with Digestives, roasted pecan nuts (in the spirit of Halloween, I figured these resemble brains ;) ), marshmallows and dried cranberries. Topped off, of course, with something fitting the theme. Skull, pumpkin and ghost mallows. Also some huge fruity flavoured gummy eyeballs. What kid (or grown up) won't like these? 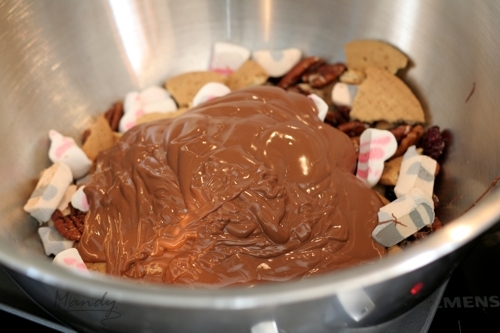 Once the chocolate is melted, reserve 1/3 of the chocolate and mix the rest in with the nuts, mallows, etc. 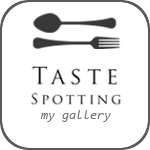 Posted on October 29, 2009 by Mandy Mortimer and filed under Halloween, Sweet and tagged Cranberry Digestive Biscuits Halloween Marshmallow Nuts Rocky Road.